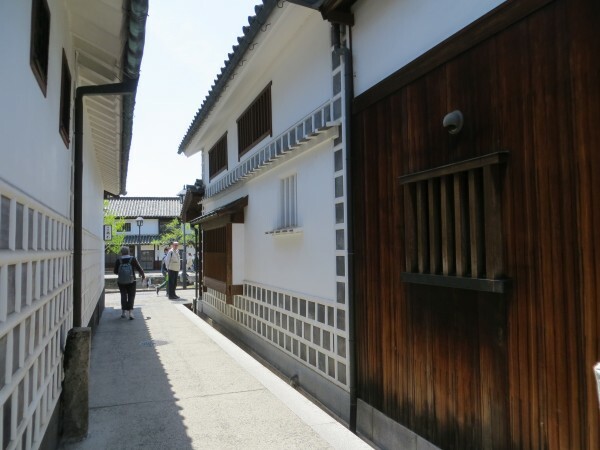 Being in Okayama made it easy to go visit Tomo no Ura and Kurashiki. 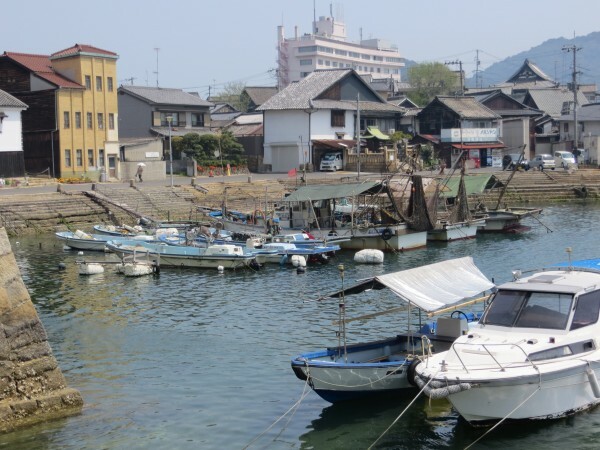 Tomo no Ura is an old fishing village on the Seto Sea. 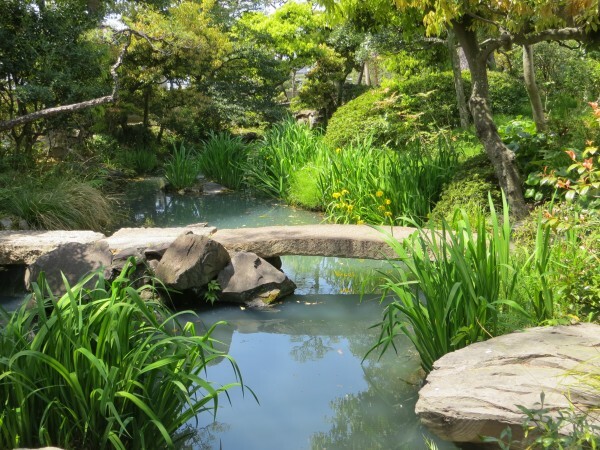 It became known in the Edo period because it was a stopping place for Korean delegations. 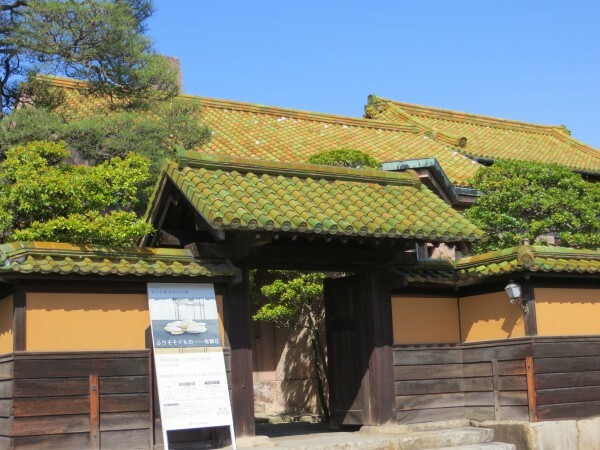 It also has a tiny museum showing the salvaged remains of a ship of Sakamoto Ryoma's, which foundered nearby. It really seems a place forgotten by time. Very few people in the streets, hardly any tourists. There are few shops or restaurants, and no combinis! This may be a coastal place, but it sure has an inaka [country, "the sticks"] feel. Frankly, I was a little disappointed by the place. It has no particular charm, and the view was very hazy. This made vain the desire to see the panorama from the shrine on the hill. So I decided to cut my visit short and return to Okayama. More to do there! The next day I took the train again to go visit Kurashiki, only about 15 minutes from Okayama. I had been there 2 or 3 years ago in August, and felt the heat had prevented me from doing justice to the place. 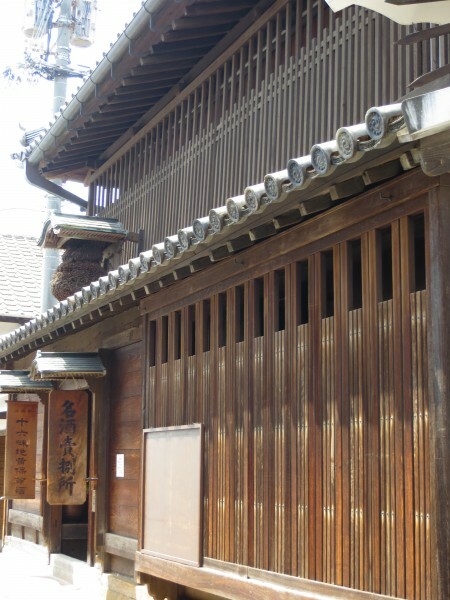 Kurashiki was a very prosperous city during the Edo period. It survived WW II unscathed, and keeps a delightful ensemble of merchant houses, refurbished warehouses, and especially lovely canals bordered by weeping willows. It is very pleasant to walk around, there are nice shops to look into, and also several museums. 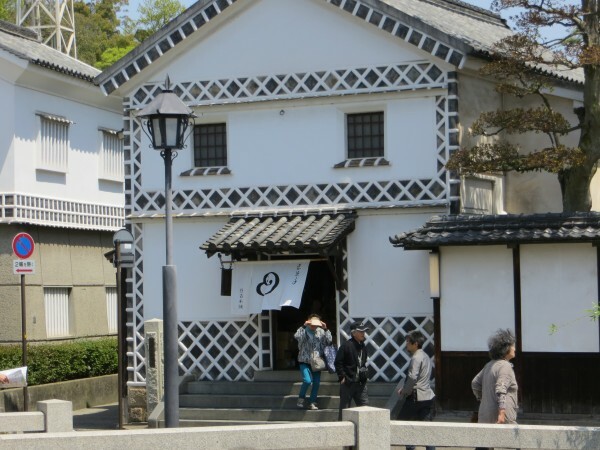 I went to a couple: the Ohara Museum of Art has a very interesting collection of mostly European and Japanese art from about the mid 19th century to the mid 20th. There is also an archeological museum in a lovely old rice warehouse. Finally, there are several good restaurants. We ate at the friendly Kamoi, situated right by a canal across from the Ohara Museum. I can recommend the excellent unadon. I really enjoyed my visit there. 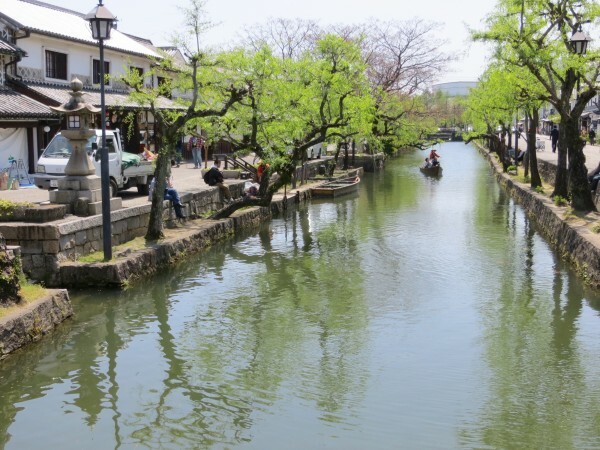 I would certainly recommend visiting Kurashiki. 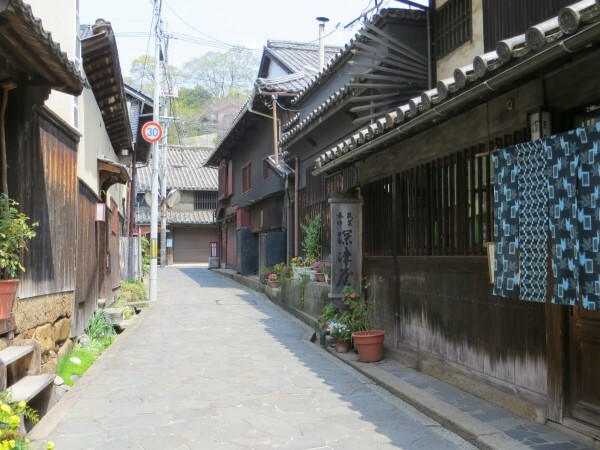 Aside from the usual souvenirs, there are good quality fabrics to purchase, as the textile industry is still active, and they also have the famed Bizen-yaki pottery. You were really lucky with the weather!